Que la ilusión y alegría de la llegada de los Reyes Magos reine en su hogar. Today is one of those days that I wish my little one was celebrating el Día de Reyes in Puerto Rico. On the eve of the Epiphany of the Three Kings children are filling their shoe boxes with grass or hay, and tucking them under their beds and ready to go to bed early. On the morning of January 6th children are jumping out their beds to look inside the shoe boxes! No hay or grass! In exchange for their kindness on leaving hay or grass for the camels the Three Kings leave treats (toys and/or candy) behind. Since it’s a holiday in Puerto Rico children and adults alike will enjoy a day off. Little one was only 6 months old when he visited Puerto Rico for the first time, and it was also during Three Kings day. However, he was too young to remember. Since we live in the U.S. I make an effort to pass on the cultural traditions that I grew up with, and that are very much part of our Latin culture. We had so much sharing this tradition with his friends last year during a playdate that we hosted another one this year as well. Yesterday afternoon little one and I went to our backyard to find grass. Since it was so cold we managed to get a little bit, but my child wasn’t happy stating that we had to feed three camels! So we got some more grass. 🙂 As we walked in the house, he was holding the shoe box filled with grass tightly so it wouldn’t fall, and placed it by his bed. It’s such a joy to see our son’s excitement! 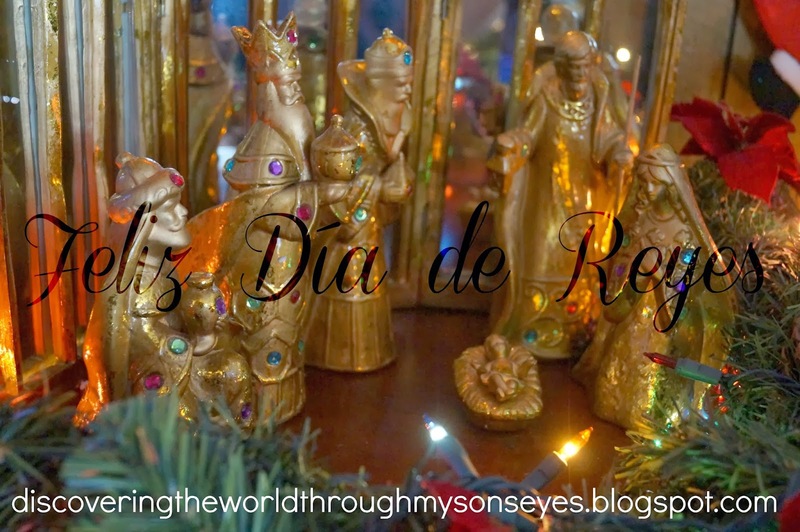 Do you celebrate El Día de los Reyes Magos (Three Kings/Magi Day?) Please comment, like, share or pin.